Living in Japan, I can find most Lego sets that are available for sale in the world. Not all though, for example the Scooby-Doo series wasn’t sold in Japan (no one knows Scooby-Doo here, what a shame!) I had to order the ones I got from the UK on sale, they were shipped to my family in France who sent them to me. Yes, I’d go to these lengths, because let’s admit it, those sets are some of the best in recent years. The good news is that prices have gone down recently too. They’re still much more expensive than in the US, but they’re pretty much on par with European prices (why are Lego so cheap in the US? I’m jealous). However, I also buy a lot of my minifigures online, most of them through Bricklink. However, shipping to Japan can be pricey, and that greatly limits my choice of sellers. Basically I buy almost exclusively from sellers in the Netherlands where the shipping costs are the cheapest in the world. And while there is a certain number of sellers there, it still means that my choices are somewhat limited. So, when I went home to France last summer, I also did some online Lego shopping for minifigures, as suddenly my options were bigger. I ended buying just a few, but I’d have never been able to get some of those for cheap in Japan. 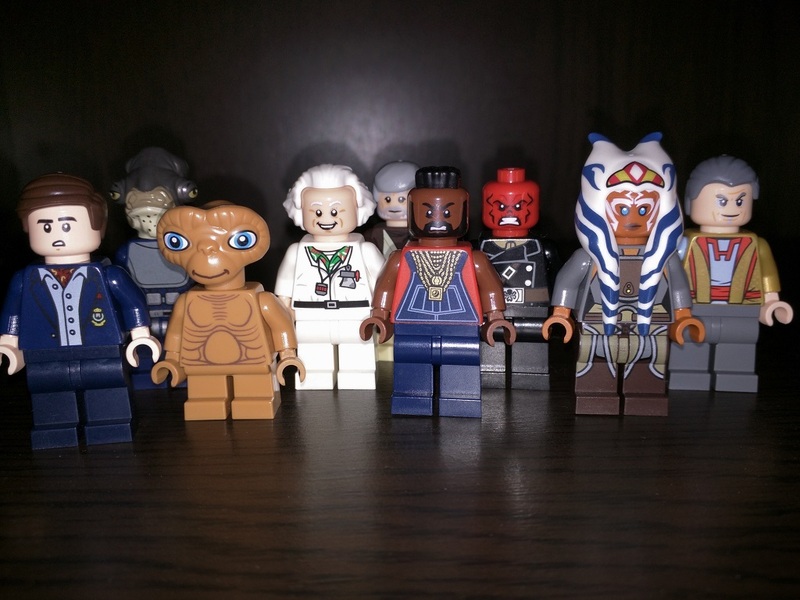 From left to right: Classic Bruce Wayne (got him mostly for the suit), Admiral Raddus, E.T., Doc Brown (note that Dimensions is not available in Japan), Obi-Wan Kenobi (I can’t believe I didn’t already have him), Mister T, Red Skull, adult Ahsoka Tano, and finally Jeff Goldblum as Grandmaster (I just wanted a Jeff Goldblum minifigure, who doesn’t?). Pretty glad with that purchase.